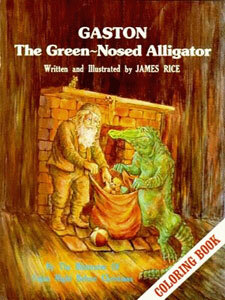 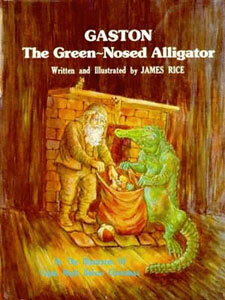 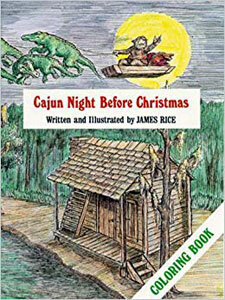 Santa Claus moves his headquarters to the Louisiana bayou and replaces his reindeer with flying alligators. 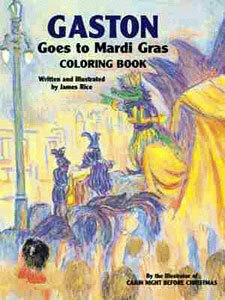 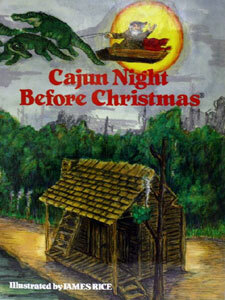 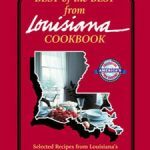 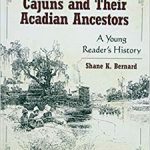 In this delightful book, written & illustrated by James Rice, Gaston explains the events depicted in Cajun Night Before Christmas… with a Cajun twist! 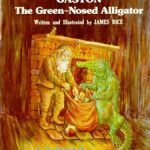 Unprepared for his yearly trek because of a series of problems, a perplexed Santa sees Gaston in flight: suddenly the friendly alligator is employed to help save Christmas. 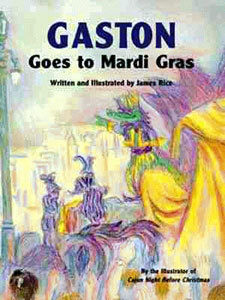 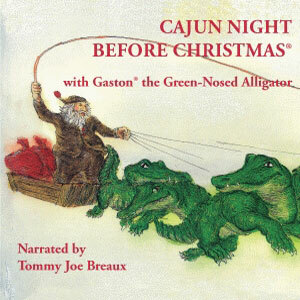 *Also available is a Gaston the Green-Nosed Alligator coloring book and an audio version on CD, narrated by Tommy Joe Breaux.